Buying a House or Condo? Not Sure Where to Start? Whether you are looking into buying a house or a condo, without the right road map, you are going to get lost before you even put it in drive. Mapping out Cost's is going to be your first step. Figuring out if you can even afford everything that goes along with home or condo ownership is pretty important...wouldn't you agree?? Entertainment...Don't wanna be 'House Poor' right? Just because the bank or a mortgage broker will tell you that you can 'afford' a certain number, doesn't always mean that you can. You have to decide what is going to be comfortable for you on a monthly basis. In the next post I will get into 'Wants and Needs', but right now you have to understand that costs are the MOST important thing to consider when buying a home. Don't let anyone tell YOU what YOU can afford. You have to make that decision. 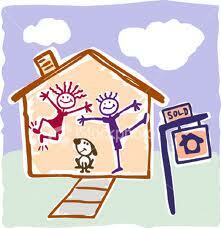 Now...I have written and done video for first time home buyer's on another website that I have. If you go here to the First Time Home Buyers tab on nwcalgaryliving.com there is a lot more information to help get you started on the right path...with the right map in front of you.